Colorado native and five-time Emmy-award-winner Steven Bernstein started his formal music training studying piano at the age of five. 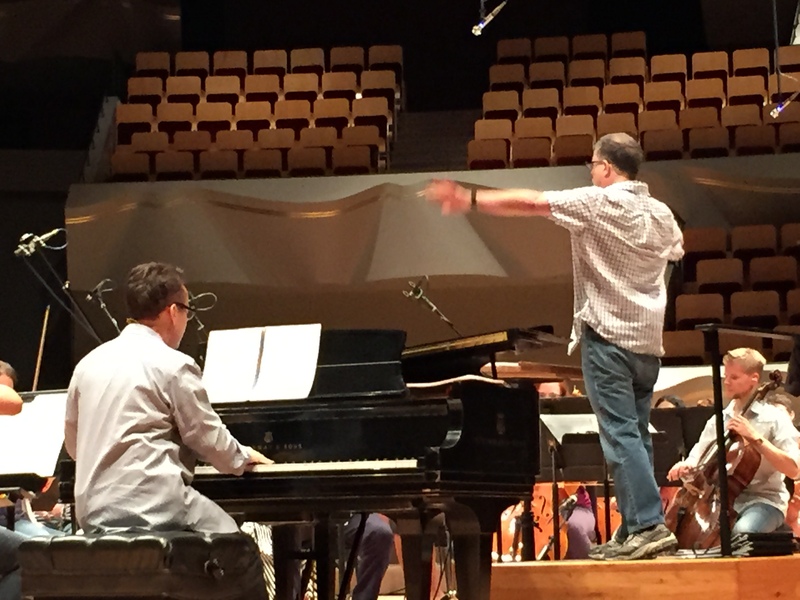 After considerably more training and a move to Los Angeles, he has become a multi-hyphenated composer-orchestrator-arranger-conductor-singer…and occasional -actor. Bernstein began his professional music career in Los Angeles, receiving commissions to reconstruct and re-orchestrate some of the world’s most beloved film music, the scores of which have been lost or destroyed. The reconstructions include music from such classics as The Wizard of Oz, Gone With the Wind, It’s a Wonderful Life, A Christmas Carol, Around the World in 80 Days, The Searchers and The Bride of Frankenstein. Because of this work, he was featured in a PBS News report on the preservation of film music. He is perhaps best known for his music for animation. To date, he has written the scores for over 250 episodes of animated television series and feature-length films. The series include such titles as Animaniacs (including 2 new seasons for Hulu in 2020), Pinky and the Brain, Freakazoid!, Histeria! and Taz-mania! He wrote the scores for the features Scooby-Doo Arabian Nights and A Flintstones Christmas Carol and co-wrote the scores for Wakko’s Wish, A Pinky and the Brain Christmas, and the Tiny Toons specials It’s a Wonderful Christmas, Night Ghoulery and Spring Break. Collaborations with his wife, composer Julie Bernstein, (besides their awesome kids) include the Make Way for Noddy series and specials, the Baby Looney Tunes series and Easter special and the opening song for Toonsylvania. For Kid Rhino Records, they co-produced a CD of songs inspired by the feature Tweety’s High-Flying Adventure, performing on, and writing music and lyrics for, much of the album. His film scores span genres from horror (Blood Lake and Pernicious) to documentary (the award-winning Mr. Fish: Cartooning from the Deep End) to romantic comedy (Would I Lie to You?). His orchestrations can be heard in such features as Skyfall, The Amazing Spiderman, Supernova, The Spiderwick Chronicles, Millions, Windtalkers, The Perfect Storm and How the Grinch Stole Christmas. He has conducted for many film and TV productions including He Named Me Malala, Spiderman 3, Supernova, Winchell, A Glimpse of Hell and Phantoms. 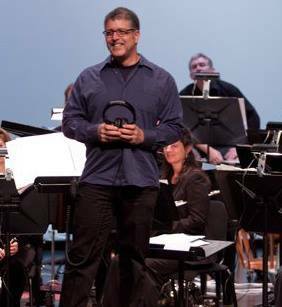 He was the guest conductor for the Kentucky Symphony’s concert of music for animation and for the Colorado Symphony’s Animaniacs Live! concert for which he and Julie provided the arrangements and orchestrations. Besides his music for the media, Bernstein has received recognition for his concert music. His oratorio To Speed Them All won second place in The American Prize competition in 2015. Also recognized by The American Prize are his song cycle Emeralds: Poems from Medieval Ireland and Hashkiveinu for a cappella chorus. His duet for violins, Suite 16, was a semi-finalist for the 2017 competition in the chamber music category. Snapshots, a commission by the YMF Debut Orchestra and co-written with Julie, was also a semi-finalist and received Honorable Mention in the IAWM competition. As a performer, Steve served as music director and accompanist for Gotta Sing, Gotta Dance II, the revue starring Broadway performers Beverly & Kirby Ward and played piano and conducted in the orchestral version of Animaniacs Live! He provided vocals for episodes of Make Way for Noddy, Animaniacs, Pinky and the Brain, Pinky Elmyra and the Brain, Batman Beyond and Histeria!, as well as the features Wakko’s Wish and Baby Looney Tunes: Eggs-straordinary Adventure and the CDs Tweety’s High-Flying Adventure and jazz pianist Liz Kinnon’s Ms. Behavin’. His enthusiastic but limited acting credits include a cameo in the Wayans Brothers’ Dance Flick and three productions with the Joynt Theater Comedy Improv Troupe.